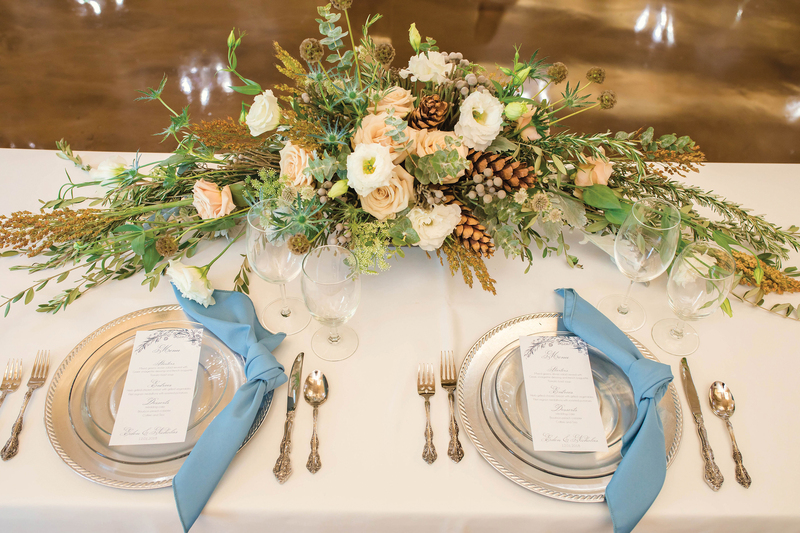 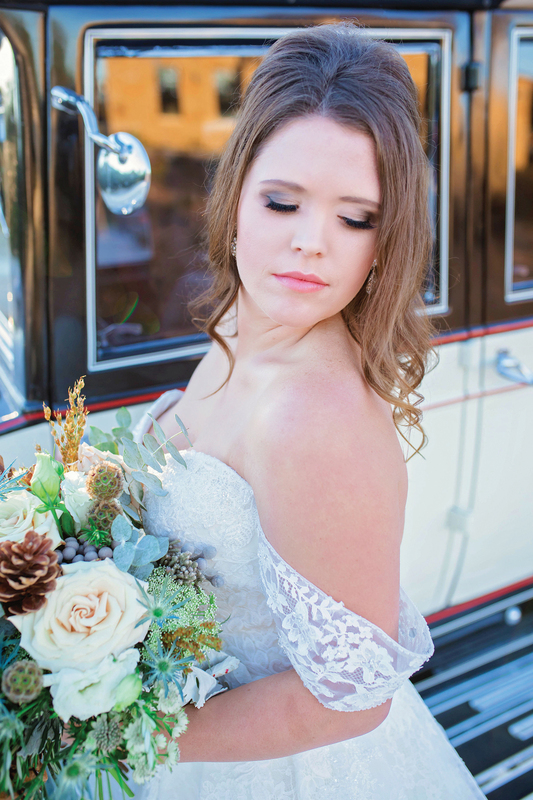 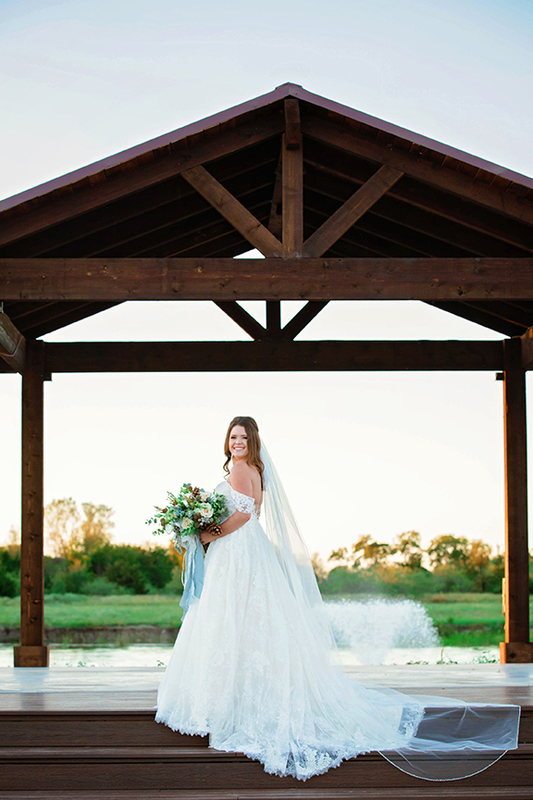 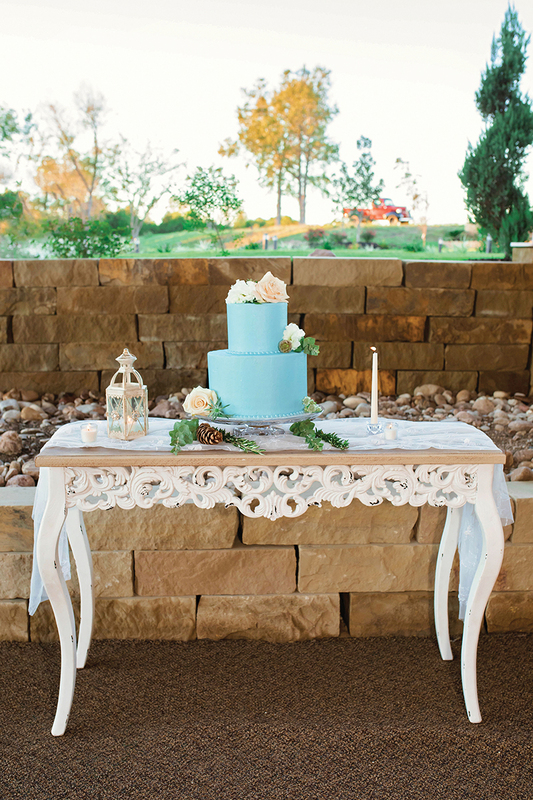 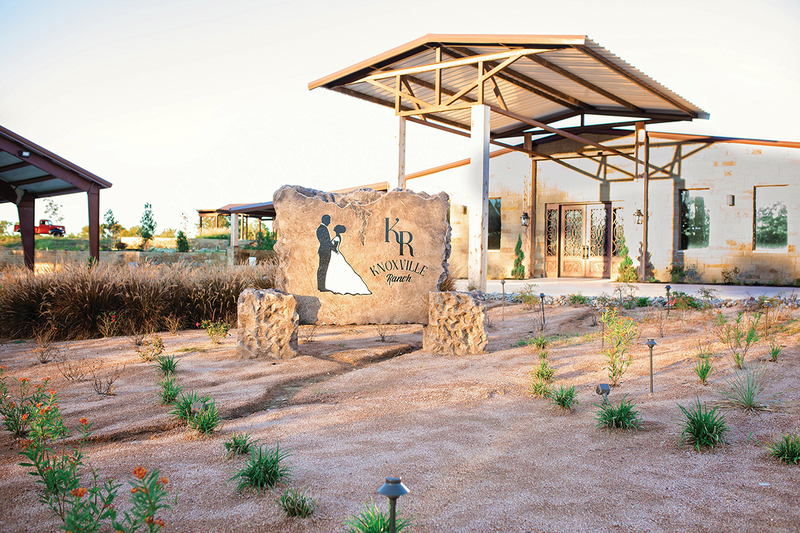 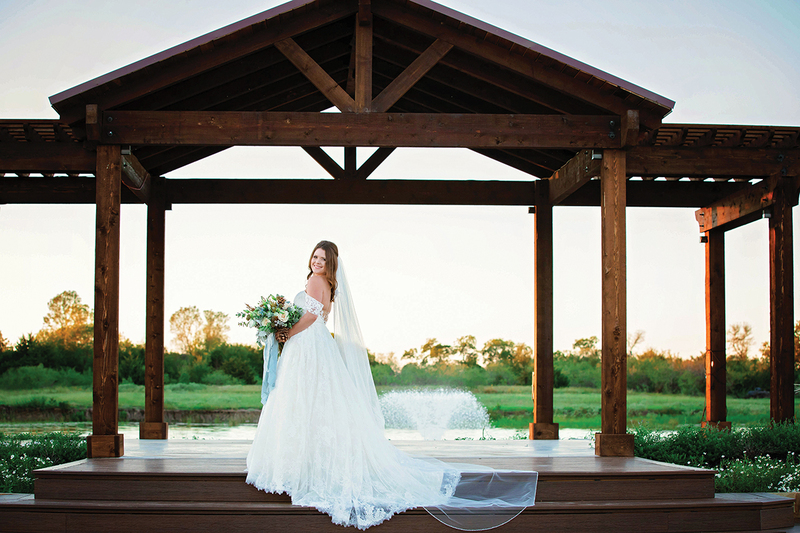 The sprawling acreage of Knoxville Ranch set the stage for our latest styled shoot. 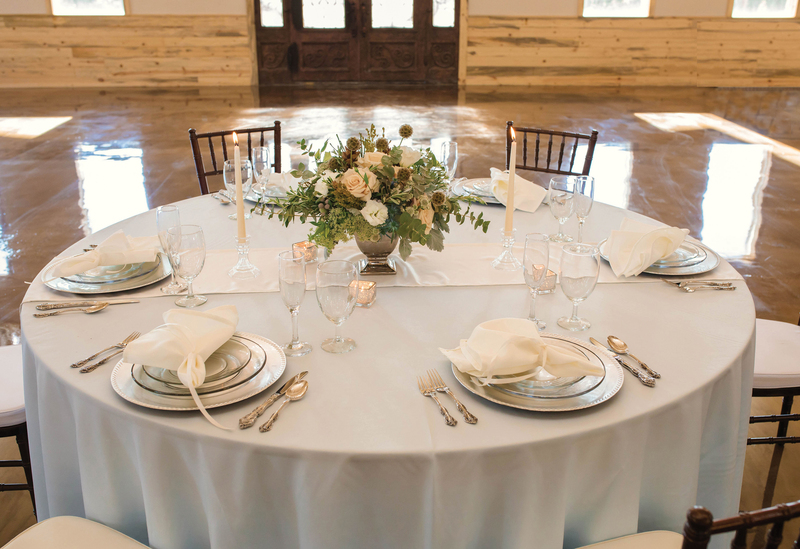 Shades of dusty blue, gold and cream juxtaposed nicely against the lush expanse outside, and inside these hues contrasted nicely against light-colored linens and a glossy, polished concrete floor. 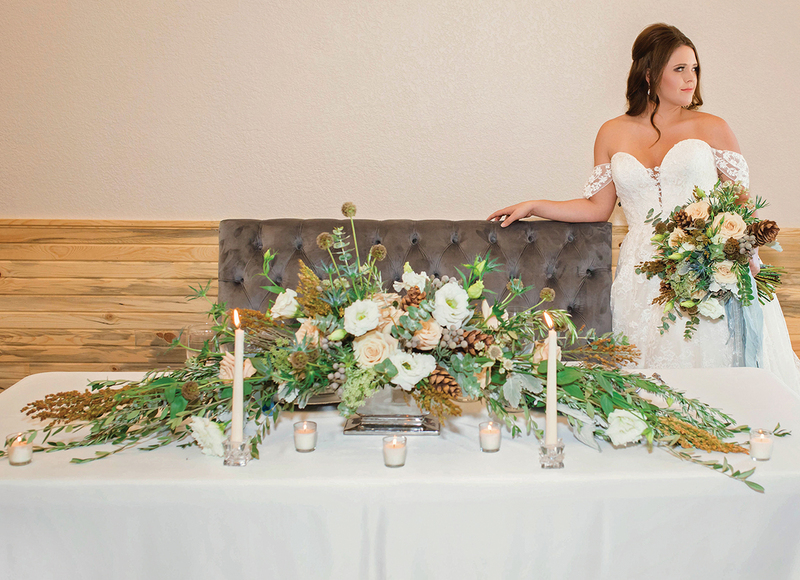 Pine cones and uniquely-shaped blossoms added additional interest in the bride’s bouquet and the floral arrangements. 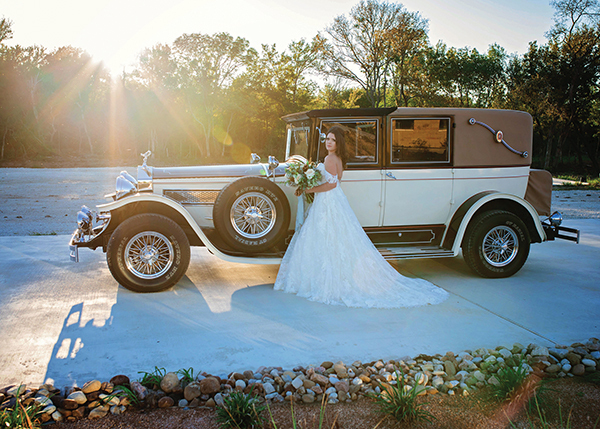 And the texture-rich, off-the-shoulder bridal gown gave off a glamorous old Hollywood vibe that was complimented by the venue’s vintage Rolls-Royce. 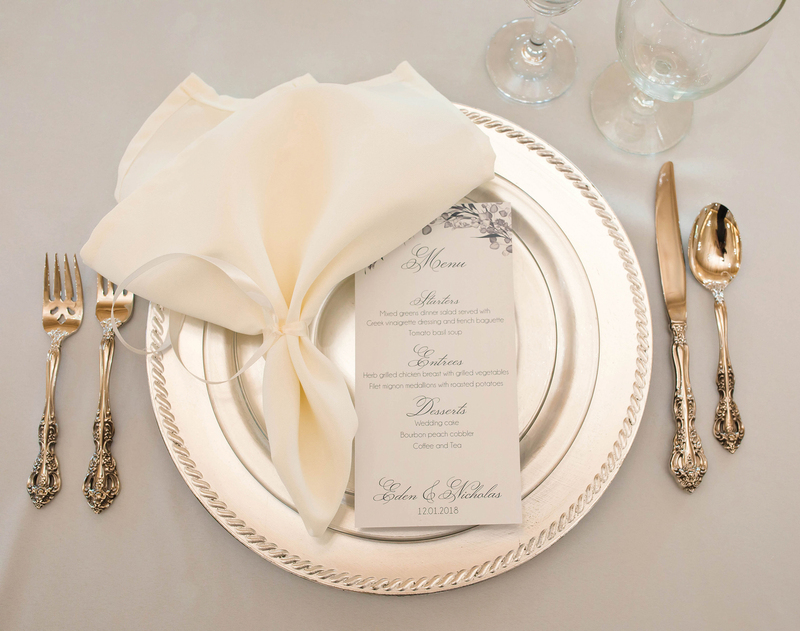 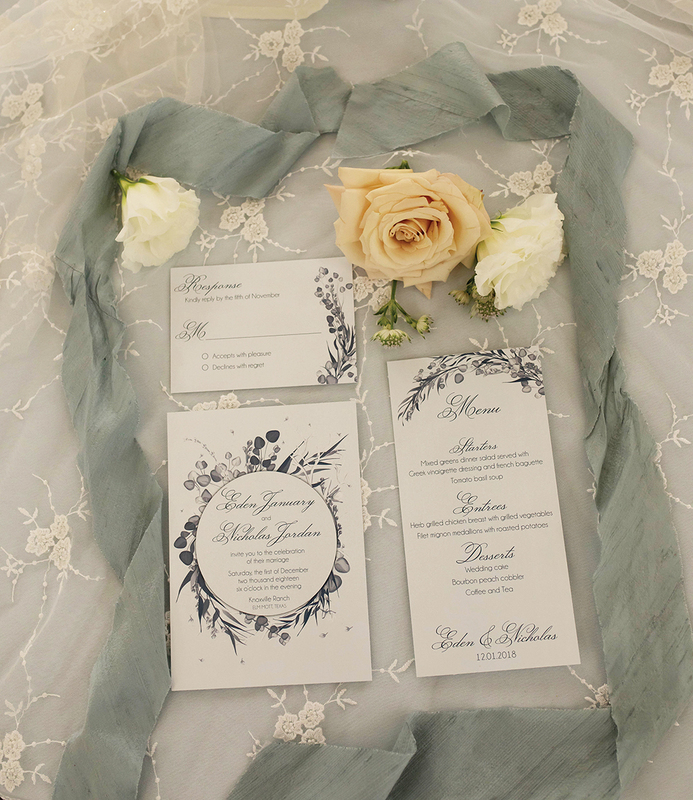 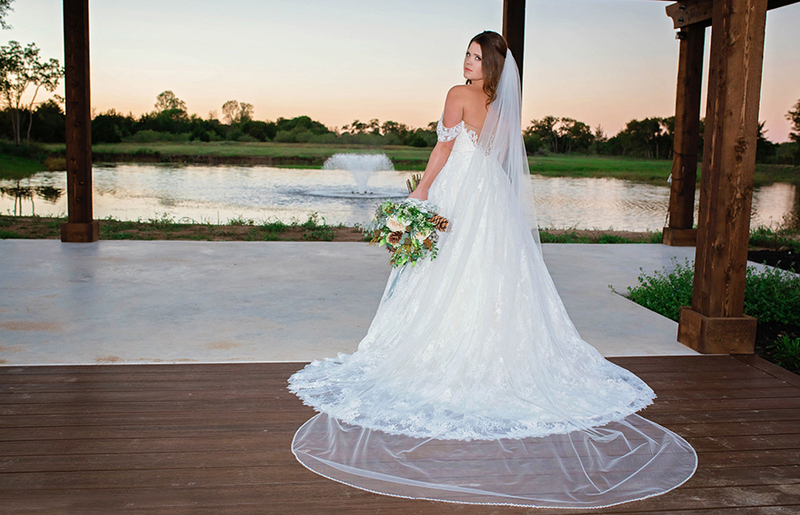 Wedding, bridal & event planning in Waco, Killeen, Temple, Belton, Salado and Harker Heights! 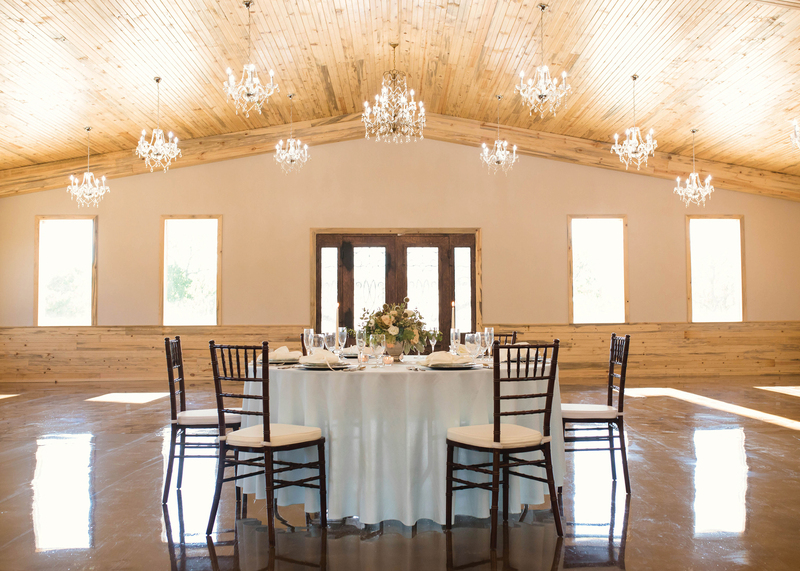 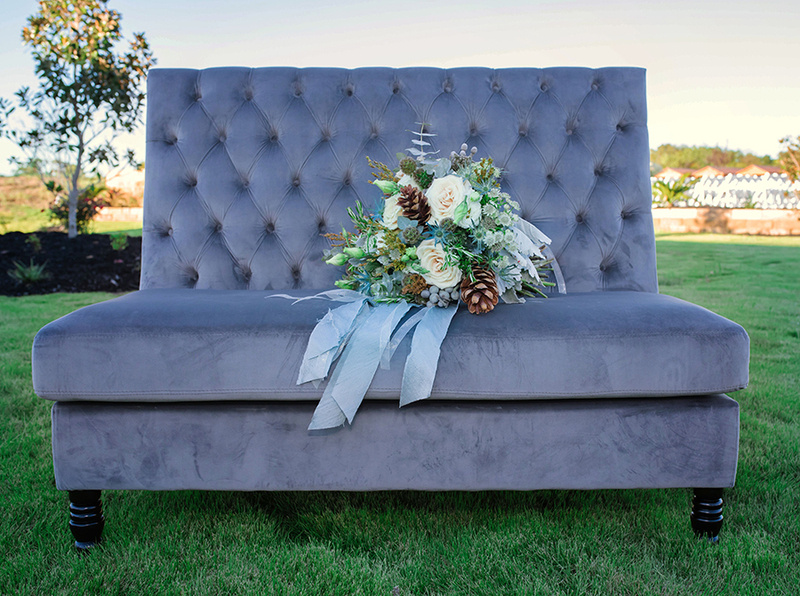 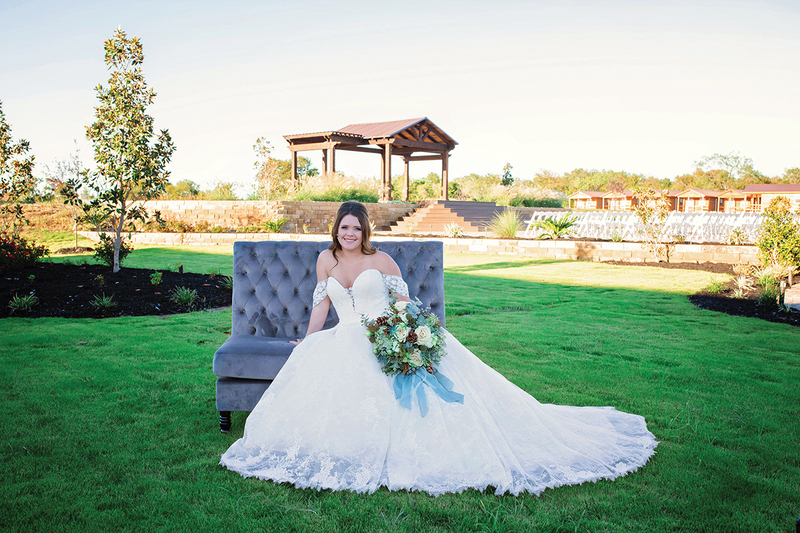 Central Texas Engagements offers local vendors that offer services in bridal gowns and attire, venues, wedding supplies, cakes, floral, photographers, event planners, DJ's and so much more.